Good Day everyone! 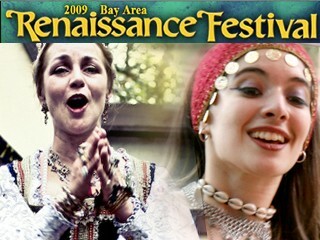 Rachel Kardos reporting with an idea for the weekend-Thou should head on over to Mosi this weekend for your last chance to see the Renaissance Festival until 2010! In a newly revamped ensemble, “The Gatekeepers”, fully developed characters take all-that-enter into a world 500 years past. The Human Chess match battles each day for the honor of the court, but this year the guests are a part of the show. A dozen spaces lay empty each game, so that guests can get in the act. This all new interactive event is held twice each day: Once at about noon right after the Royal Parade and then again at 3:30. There will be a question and answer period at the end of each performance to provide an opportunity for historical perspective on the fighting styles of the period. Fun is literally in the air this year with the gravity defying moves of Acrobellum. This “acro-balancing” group founded by Levi Landry was inspired by years of combat performance experience with the Renaissance Festival. These seasoned, Florida based actors perform in the streets of Fittleworth, the Festival village, to audiences that stop to watch the members stack themselves into unbelievable shapes! Make sure to come hungry so you can eat like a King of the past. They have everything from Fish and Chips, Turkey legs, and cheesecake on a stick! Not to mention FREE beer and food tastings! Sounds delicious to me! The Renaissance Festival is located on the corner of Fowler and 46th Street, next to MOSI. It runs through Sunday, April 5th, from 10am-6pm and is open rain or shine. Daily admission rates at the gate range from $8.95 for children ages 5-12 (4 and under are free!) and $16.95 for adults. Discount offers can be found online. Parking is free. Fare thee well, and stay tuned for more Tampa Bay area events with from your Tampa Bay team of partner pulse bloggers!